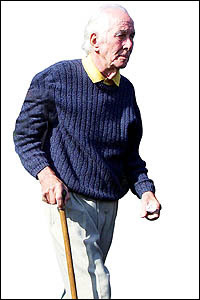 Jack Straw has rejected the Parole Board's recommendation that Ronnie Biggs should be allow to leave prison to die. Nick Cohen in the Guardian has critiqued the decision in this article - Oh, it's easy to play the hard man with Ronnie Biggs. Straw's decision and the parole board recommendation illustrate how removed criminal justice system discourse has become from reality. Talking about his potential to re-offend and his dangerousness completely ignores the fact that the guy can neither walk nor talk. It seems a particularly nasty decision.